hello,as per title.. i have civic link 95 plug in. and i want to install individual coil. how to connect to ecu. i have coil k20 and the trigger from mitsubishi. how to install until finish? 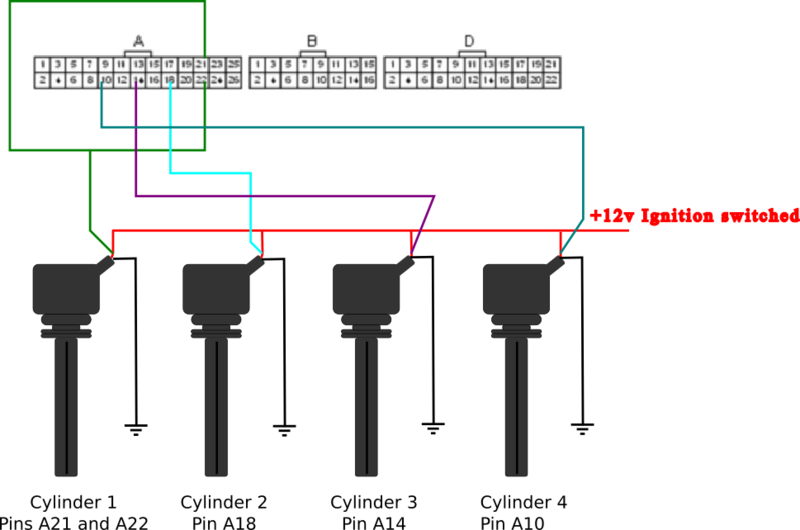 and how to set up from ecu? If you have coils with out built in ignitors you will need an external ignitor channel between the ECU ignition outputs and each coil. The factory B16A distributor pickups will work fine for direct spark ignition. Why do you want to use the mitsubishi trigger system? How many sensors does it have and how many toothed wheels? How many teeth on each wheel? Can you give me explanation with the picture with obd1 ecu setup for direct coil. 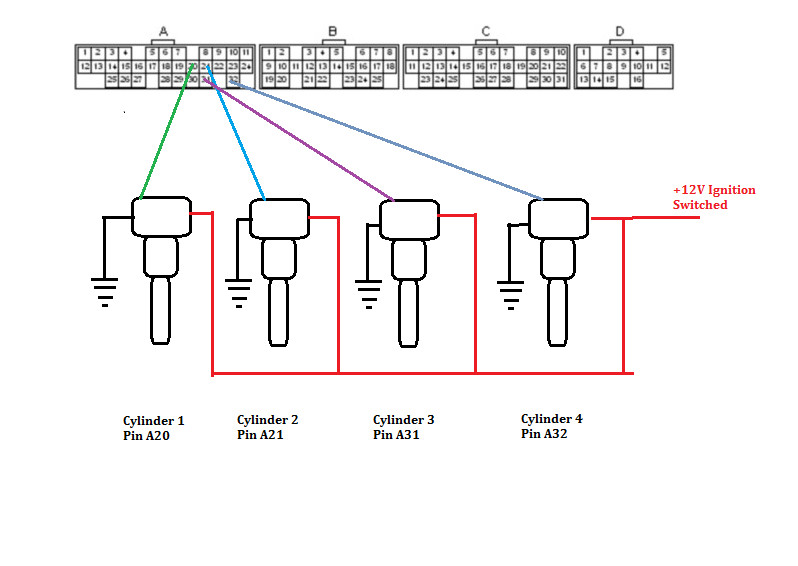 i'm already follow the diagram but on coil cilynder 1 i just used a21pin, but my engine couldn't start i must connect the a22 or there is a problem with ecu setting? and my tuner ask can you give me a picture of ecu setting with individual coil? You only need to connect to one of the cylinder 1 pins (A21 or A22). On the honda the spark edge is normally 'Rising', but if you have removed the factory ignitor and coil then I expect it to now be Falling. If you can not get the engine to start then attach your base-map and a short PCLog of you trying to start the engine. Good work, it is now running nicely on the COP setup? and how many teeth and shall I fabricate the cam shaft distributor input with that trigger.